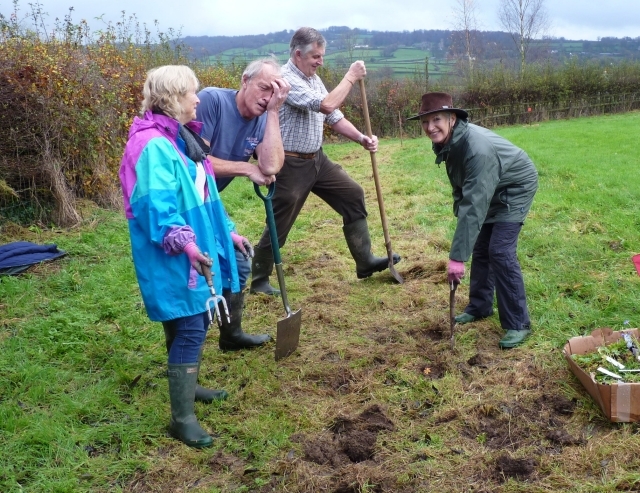 Volunteer group aiming to increase the bio-diversity of the village playing field in Bishopswood, in the Parish of Otterford. 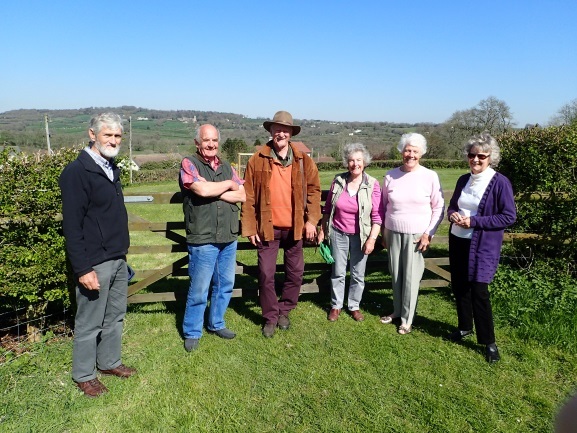 One of BHNF's 2014 pilot projects in Otterford has been a success with a new ‘Conservation Group’ established to assess and improve the Biodiversity of the Playing field in Bishopswood, Otterford Parish. The groups surveys of uncut margins in the field showed a disappointing number and variety of wildflowers so the group applied for funding to try and improve the situation. The Parish Council obtained a grant from the AONB’s Sustainable Development fund for Wild-flower Plug plants. 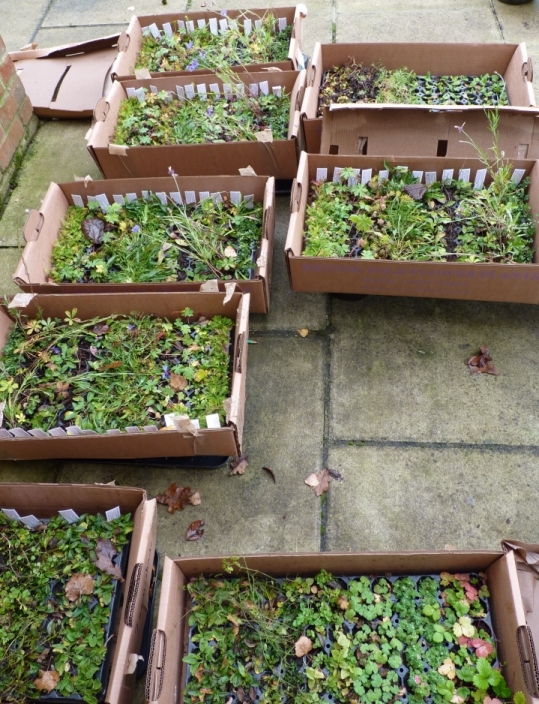 Suitable plants of 23 native, local species were sourced and ordered. The ground wasn’t in a satisfactory condition for the planting so some hard work was involved. 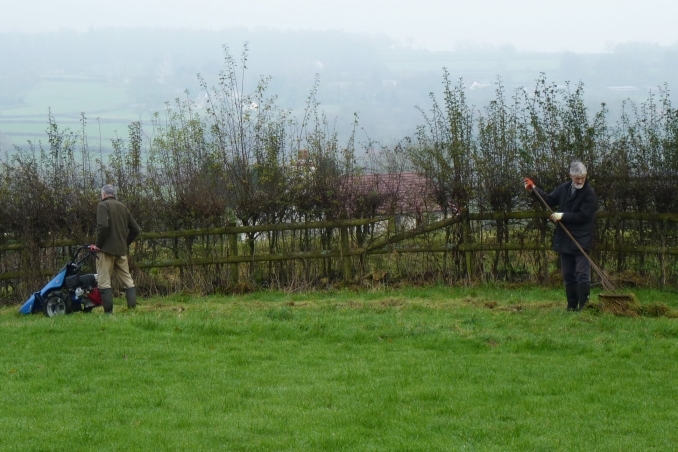 Volunteers were found and during 2 week-ends in November, 832 plants were put in place. We hope our efforts are successful not only in adding botanical interest for the local community but in attracting birds, bees & butterflies.